White wine with a good alcohol content fermented in new French oak barrels, aged for 6 months on its lees, and possessing all the characteristic features of the great Chardonnays. Fermentation: Alcoholic and malolactic fermentation in French oak barrels from Allier and Nevers. Ageing: 6 months in new French oak barrels and 6 months in bottle. Tasting Notes: Clean and bright, golden hue with slight green tones. Aromas of vanilla and smoke. Aromas of citrus and tropical fruits such as pineapple, bananas and mangos, with a hint of butter. Very long, well balanced and full bodied on the palate. Food pairing: pairs with fish in sauce, fish stews, baked fish and white meats. Serving temperature: between 8 –10 ºC. – Gold Medal for the 1999 Vintage – II International Wine Exhibition (Salón Internacional del Vino). Madrid 2001. – 1st Prize for the 2001 Vintage – “2º Certamen de Vino Mallorquin de Manacor 2002”. – “Gran Baco de Oro” (Gold award given to the best wine in all the categories) for the 2002 Vintage – “ XVII National Wine Taste organised by U.E.C. – Gold Medal for the 2002 Vintage – Radio Turismo annual wine awards. Madrid 2003. – Silver Medal for the 2002 Vintage- ”IV International Wine Exhibition” (Salón Internacional del Vino). Madrid 2003. – Gold Medal – VIII Bacchus International Wine Exhibition. 2008. – Gold Medal Chardonnay Roure 2009 – “ Concurso Internacional CINVE Sevilla 2010”. – Gold Medal. The Spanish association of journalists and wine writers (AEPEV) Chardonnay Roure 2010 was selected as the best aged white wine. – Gold medal for the harvest 2011 in “XV Edición del concurso internacional Premios Zarcillo” (Castilla y León 2013). 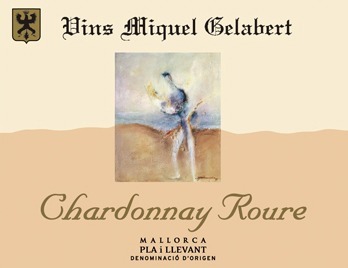 – The best Chardonnay in Spain. The white wine Chardonnay Roure 2011 rated 94 out of 100 in blind tasting in Magazine Sobremesa (2014).